The artistry in carpentry is a balance between functional ability, overall design, and construction techniques. There are so many different types of products made in wood today, that having the overall experience to pull off every project to the professional letter would be almost impossible. The true artistry is in being able to translate the project that you have set about doing from your workbench to the completed item. 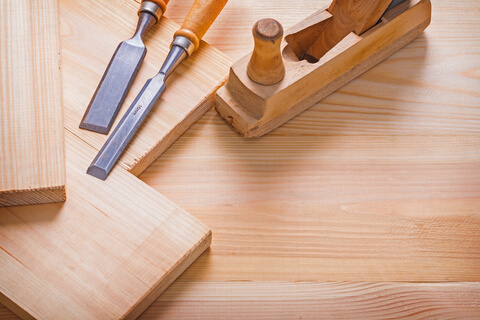 I always view carpenters as general practitioners of their trade. They can turn their hand to making most things well. But excelling in making most things to an excellent standard comes from either years of experience, or becoming an expert in a particular area of carpentry or joinery manufacturing, then sticking to that one particular product and pushing the boundaries of ability, design and performance to the maximum. A carpentry shop that manufactures hardwood gates will, over time, become an outstanding expert in the art of gate making, in the same way as a woodwork shop that made nothing but windows would excel in their craft. Deciding on a new project for your shop will heavily rely on your ability to translate an idea or requirement, and put your ability and experience into the finished product, to achieve what a specialist in that product field would produce every day. If you decided to make a window one week, then a front door the next, finishing off with a dressing table on the third week, you would be busy, for one, but would also require a broad vision, knowledge and understanding in each field. There is no shame into looking at how specialists achieve their particular product to the standard they do though. Let’s face it; part of any project is the research into every aspect of what makes that particular product unique. To conclude it’s all in the know-how, in taking your vision then researching that singular product to achieve as close to what a specialist in that area achieves on a daily basis.